One of the great features of MassTransit is the abstraction it provides over the message transport. This allows you to forget about the plumbing and focus on distributed application design and development. 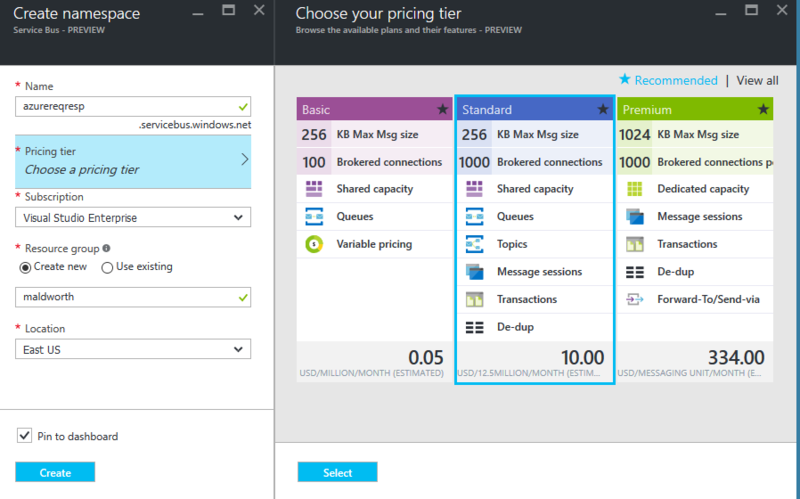 Now would be a great opportunity to take one of our past tutorials and convert it from RabbitMQ to Azure Service Bus. It will become very clear how easily you can switch from one message transport to another. The completed project for this tutorial can be found here under the azure-service-bus branch. First, clone the master branch from this tutorial. Don’t worry if you don’t have RabbitMQ setup locally, because we will be switching the solution to use Azure Service Bus. 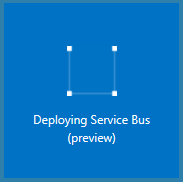 Click New, and search for “azure service bus” or “service bus”. Then select it, and click “Create”. Once Created, you will want to click “Shared access policies”, Choose “RootManageSharedAccessKey” and then leave this window open, because we will need to copy the primary key values into our App.config and Web.config. Before we update our project IoC with the Azure SB transport, we need to add the Azure Key Name and Shared Access Key for the Service Bus we made in the previous section. 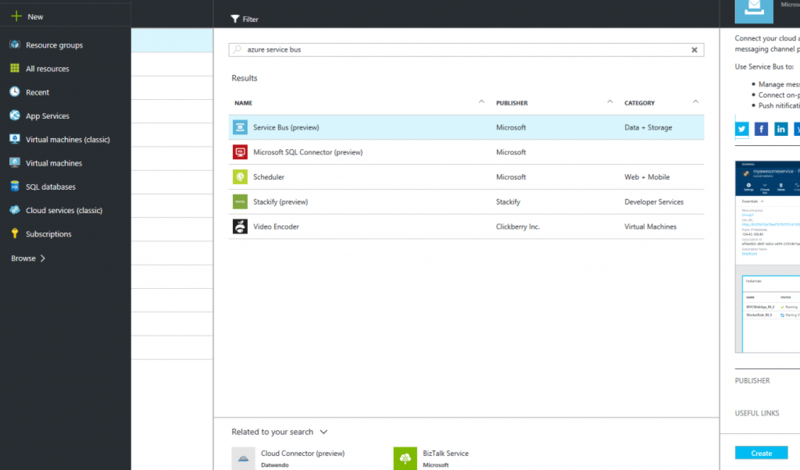 Open your Service Bus in Azure Portal. Then click Settings -> Shared access policies -> Root manage shared access key. You can copy the Primary key (or secondary, it doesn’t matter) and paste it into your App.config. Now open Web.config in StarterKit.Web and add the same 4 lines, plus a new 5th line. Great. Now we have our configuration settings saved and ready to use. Now all we have to do it change the container we register in our IoC of both the StarterKit.Service and StarterKit.Web projects. We don’t need to change a single line of business logic code in our app. Thank you MassTransit! First, you will need to install the nuget package MassTransit.AzureServiceBus in both the StarterKit.Service and StarterKit.Web.Bootstrapper. Once complete, create a new file in StarterKit.Service/Modules named AzureServiceBusModule.cs. Line 15: This helper method from Microsoft.ServiceBus namespace lets us construct our service Uri. You will notice that this uri is the same as our queue in the previous section, sans /<queue_name>. Line 19: This also uses a helper method to create the Token Provider for us, providing all the proper pieces of information. Again, same as previous, but we obviously don’t need to create the endpoint here. Instead our RequestClient will connect directly to the queue to read. All done. We didn’t touch any of our core code, we just setup the bus, wired it into our IoC and MassTransit handles the rest!